In 2013, musical templates from the ‘70s and ‘80s are in. Artists like Solange, Mayer Hawthorne, Sky Ferreira, Daft Punk and Haim have all delved into this period and earned acclaim for doing so. The singer Lissie was ahead of the curve: she debuted in 2010 with Catching A Tiger, a release full of guitar-driven tunes that would have fit on the radio 30 or more years ago. 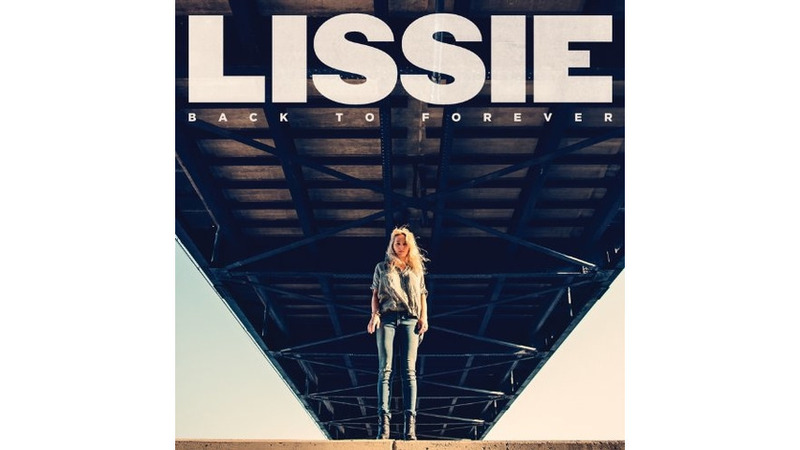 So Lissie’s latest full-length, Back To Forever, has timing on its side. It also smartly reworks recognizable sounds, especially in its first half. Back To Forever opens with a solid block of bass and jangling guitars, then scales up into an massive chorus and heavy beat. “The heart breaks, way before the habit,” sings Lissie, sounding similar to a Dr. Luke production that might appear on the radio. The next song, “Further Away,” stakes a strong claim to ‘80s production wizardry: flat drums, gentle synthesizers, pain smoothed down to a gleaming bullet. Lissie channels Stevie Nicks lyrically—“Does anyone love anymore?”—and sonically, when she moves into full-throated singing. With puffs of backing vocals and a shiny bursting guitar solo, all escaping emotions are artfully contained. Lissie sounds most comfortable in this mode, chugging meticulously forward, or crunching, as she does in “Cold Fish.” When she delves into politics, with the song “Mountaintop Removal”—about blasting apart mountains to get at coal—she sings “mountaintop removal shames our name.” It’s the right sentiment, but politics is about selling an idea, and not even Aretha Franklin could make the phrase “mountaintop removal” conform to the structures of a pop song. But that’s not to imply that Lissie can’t make big, fiery statements that might earn her some votes. She delivers a wallop in “Shameless,” a song driven by Tom Petty guitar chords and big drums. It’s simultaneously swaggering and stumbling, as Lissie is both meaner (“I gotta get far away from you”) and less sure of what anything means (she keeps asking, “so what?”). “I don’t want to be famous, if I have to be shameless,” she yells. “I don’t know what this game is/ cause I’m not even playing it.” We’re all stuck in the game. But as Lissie fights to assert her own self-confidence, it has a bracing effect on everyone in earshot.